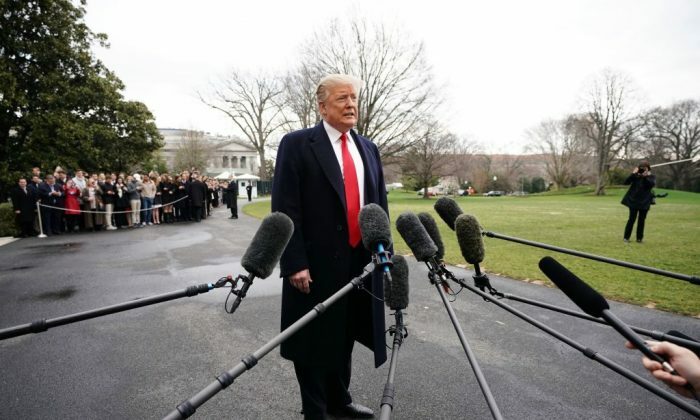 The investigation by special counsel Robert Mueller vindicated President Donald Trump on March 24, but not before mainstream media outlets devoted a staggering amount of coverage to the investigation. Much of the coverage insinuated that Trump or his campaign associates conspired with Russia. The coverage continued even after the House Intelligence Committee concluded more than a year ago that there was no evidence of collusion. In the meantime, television networks devoted 38 hours of coverage to the Russia-collusion story, most of it after Mueller was appointed as the special counsel, according to a review of news coverage by the Media Research Center (MRC). ABC, CBS, and NBC devoted more coverage to the collusion narrative than any other area of the Trump administration’s work, including immigration, tax reform, trade, North Korea, the war against ISIS, the booming economy, veterans’ affairs, and the opioid epidemic. A combined 20 million people watch the ABC, CBS, and NBC evening news broadcasts. The networks sustained the collusion narrative while delivering overwhelmingly negative coverage of the Trump presidency, with more than 90 percent of all evening news coverage angled to cast a negative light on Trump. The Mueller investigation fueled a vast number of social media posts and engagements. The special counsel’s investigation resulted in 533,074 articles on Twitter and Facebook, which have garnered 245 million interactions, according to Newswhip data shared by Axios. Attorney General William Barr released the findings of the Mueller investigation in a four-page summary on March 24. According to Barr, Mueller’s office interviewed approximately 500 witnesses, executed almost 500 search warrants, issued more 2,800 subpoenas, obtained more than 230 orders for communications records, and issued nearly 50 pen orders. Mueller employed a staff of 19 lawyers and 40 FBI agents, analysts, forensic accountants, and professional staff. Based on spending numbers through September 2018, Mueller’s investigation cost American taxpayers $50,230 per day. In addition to exonerating Trump and his associates from allegations of conspiring with Russia, Barr also concluded that Trump did not obstruct justice.